The carbohydrate-insulin hypothesis of obesity states that carbohydrates (particularly refined carbohydrates and sugar) are the primary cause of obesity due to their ability to increase circulating insulin, and that the solution to obesity is to restrict carbohydrate intake. Numerous studies have tested this hypothesis, more or less directly, in animals and humans. Despite the fact that many of these studies undermine the hypothesis, it remains extremely popular, both in the popular media and to a lesser extent among researchers. A new human trial by Kevin Hall's research team at the US National Institutes of Health offers very strong evidence that the carbohydrate-insulin hypothesis of obesity is incorrect. 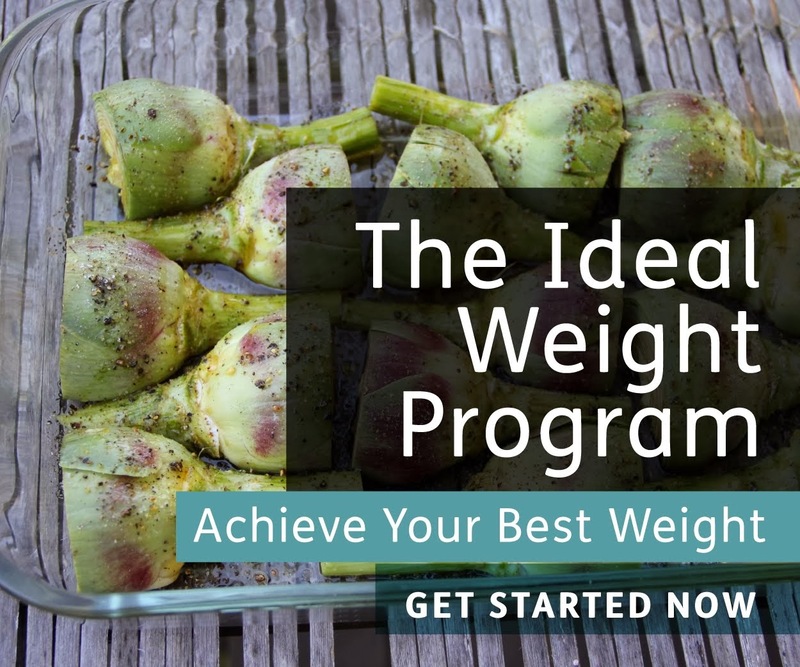 At the same time, it offers surprising and provocative results that challenge prevailing ideas about diet and weight loss. Despite taking a serious battering over the last few years*, the carbohydrate-insulin hypothesis of obesity remains popular in the public sphere, and to a lesser extent, among researchers. Public advocates such as Gary Taubes, and researchers such as David Ludwig and Robert Lustig, have vehemently argued that obesity has little to do with calories. Rather, it's a condition in which the body is primed for hunger and fat storage due to a hormonal disorder-- and the culpable hormone is insulin. Insulin is an attractive mechanism because of its ability to affect blood levels of sugar and fat, and fat flux in/out of fat cells. According to one popular iteration of the carbohydrate-insulin hypothesis, high levels of insulin reduce blood sugar and fat in the bloodstream, and also trap fat inside fat cells, leading to hunger and fat gain. Since we know that carbohydrates are particularly good at elevating insulin levels, and obese people tend to have high levels of insulin, it all seems to add up pretty well. Adding to the attractiveness of the hypothesis, under free-living conditions, overweight people tend to lose more weight when they follow a moderate low-carbohydrate diet than when they follow a moderate low-fat diet. Weight loss diets often recommend targeted restriction of either carbohydrates or fat. While low-fat diets were popular in the latter part of the 20th century, carbohydrate restriction has regained popularity in recent years, with proponents claiming that the resulting decreased insulin secretion causes elevated release of free fatty acids from adipose tissue, increased fat oxidation and energy expenditure, and greater body fat loss than restriction of dietary fat (Ludwig and Friedman, 2014, Taubes, 2007, Taubes, 2011, Westman et al., 2007). One influential author concluded that “any diet that succeeds does so because the dieter restricts fattening carbohydrates …Those who lose fat on a diet do so because of what they are not eating—the fattening carbohydrates” (Taubes, 2011). In other words, body fat loss requires reduction of insulinogenic carbohydrates. This extraordinary claim was based on the observation that even diets targeting fat reduction typically also reduce refined carbohydrates. Since the primary regulator of adipose tissue fat storage is insulin, and a reduction in refined carbohydrates reduces insulin, carbohydrate reduction alone may have been responsible for the loss of body fat—even with a low-fat diet. This hypothesis may be a bit extreme, but it's a good hypothesis in the sense that it makes testable predictions. For example, it predicts that specifically dropping carbohydrate from the diet should cause more fat loss than specifically dropping the same number of fat calories from the diet, if everything else is held constant. Surprisingly, no study has ever directly tested this! Many studies have compared low-carbohydrate to low-fat weight loss diets under equal-calorie conditions, but all of them changed the intake of multiple macronutrients from baseline values, rather than manipulating only single macronutrients. A new study by Hall's group directly tests this prediction, making it one of the most pertinent tests of the carbohydrate-insulin hypothesis of obesity ever conducted. Onward! Controlled baseline diet for 5 days, followed by 6 days of 30% calorie restriction. Calorie intake was reduced by reducing carbohydrate intake ONLY. Controlled baseline diet for 5 days, followed by 6 days of 30% calorie restriction. Calorie intake was reduced by reducing fat intake ONLY. All diet phases were strictly controlled under metabolic ward conditions. The baseline phase was used to determine each volunteer's calorie needs. After completing one diet phase (e.g., low-carbohydrate), each volunteer went home for 2-4 weeks, then completed the other diet phase (e.g., low-fat). This is called a crossover study design, and it's extremely robust because each person is compared to himself, which reduces measurement variability. In other words, this study compares Bob eating a low-carbohydrate diet to Bob eating a low-fat diet. It's worth noting that sugar intake was the same between the baseline and low-fat periods. Any observed effects cannot be attributed to reduced sugar intake. At several points during the experiment, Hall's team took a wide variety of metabolic measurements, including metabolic rate and fat oxidation. To do this, they measured the breath exchange of carbon dioxide and oxygen that indicate how many calories a person is burning, and whether those calories are coming from carbohydrate or fat. By subtracting the amount of fat a person is burning from the amount of fat they're eating, researchers can calculate how much fat a person is losing (or gaining)**. They also measured body weight, and directly measured body composition using DXA, a gold-standard method. They also measured blood insulin levels, urine C-peptide levels, and several other hormones. C-peptide is a protein that's co-released with insulin but has a longer half-life in circulation than insulin. It ends up in the urine, and it's commonly used as a marker of overall insulin secretion over the course of the day. I want to note that this study's methods were downright obsessive. The overall study design and diets were extremely tightly controlled, and the researchers took a large number of measurements using gold-standard methods. Even though the study was short, it must have required a huge effort and cost a lot of money. The study's rigor is reflected in the fact that it was published in Cell Metabolism, a high-quality journal. As expected, the low-carbohydrate diet led to a 22 percent reduction in overall insulin secretion, as measured by urine C-peptide. In contrast, the low-fat diet had no impact on insulin levels. Also as expected, the low-carbohydrate diet caused greater weight loss than the low-fat diet. The low-carbohydrate diet also led to a higher rate of fat burning. Yet this did not quite make up for the fact that the low-carbohydrate diet contained more fat than the low-fat diet. Metabolic measures indicated that the low-carbohydrate diet caused a 245 gram (0.5 lbs) loss of body fat over the 6-day diet period, while the low-fat diet led to a 463 gram (1 lb) loss of body fat over the same period. Total energy expenditure decreased significantly in the low-carbohydrate group, but not in the low-fat group (-98 vs. -50 kcal/d). DXA analysis showed that both groups lost fat, but the changes were too small and the variability too large to detect a significant difference between groups. First, let's make sense of the results. Body weight loss was higher on the low-carbohydrate diet, yet body fat loss was higher on the low-fat diet. This might seem difficult to imagine, but in fact it's not as weird as it might seem, because low-carbohydrate diets cause a rapid loss of water weight from liver and muscle tissue. This is one of the reasons why they're so popular-- they deliver big, immediate weight loss results. Yet obesity is a condition of excess body fat, not excess water weight. What matters is losing fat. In this study, the low-fat diet caused twice as much fat loss as the low-carbohydrate diet over the 6-day period. The study's title is provocative: "Calorie for Calorie, Dietary Fat Restriction Results in More Body Fat Loss than Carbohydrate Restriction in People with Obesity". And that is indeed the case-- over a 6-day period. Yet surprisingly, using their evidence-based mathematical model of human metabolism, Hall's team predicts that the low-fat diet would continue to outpace the low-carbohydrate diet out to 6 months. I don't pretend to understand the mathematical underpinnings of the model, but I will note that previous experience shows that it's pretty darn good at predicting the metabolic and body weight outcomes of human diet studies. How do we reconcile this with previous research suggesting that over longer periods of time, diet composition stops being very important for weight loss and only calories matter? And how is the difference in fat loss they observed possible, since calorie intake was the same on both diets? I believe part of the explanation may be relatively straightforward: macronutrient extremes result in metabolic inefficiency (just to be clear, this is a hypothesis that I believe explains the evidence, but it remains to be tested directly). By default, the body uses a liberal mix of carbohydrate and fat, and a bit of protein to fuel its daily activities. When you restrict one of those to an extreme, you take the body outside its normal operating parameters, and metabolism becomes less efficient. In other words, your body requires more energy to perform the same tasks. As you can see, the low-fat diet was a spartan 8 percent fat! That is extremely low-- among the lowest of any diet study I've ever seen. Meanwhile, the low-carbohydrate diet was a comfortable 29 percent carbohydrate (although that represents a 60% reduction in absolute carbohydrate intake vs. baseline). This was necessitated by the study design, but it did lead to a more extreme diet composition in the low-fat group. My hypothesis about metabolic efficiency is supported by the fact that the low-fat diet didn't cause a reduction in energy expenditure, while the low-carbohydrate diet did. In other words, the low-fat diet had a small "metabolic advantage", demonstrating that it was more inefficient. Yet this metabolic advantage isn't big enough to account for the difference in fat loss, leaving most of it unexplained. Assuming the fat mass data are correct, this suggests that the low-carbohydrate group may have led to a greater loss of calories from sources other than body fat (e.g., glycogen and/or lean tissue), which they allude to in the paper. The "metabolic advantage" is usually associated with low-carbohydrate/high-protein diets. For example, in a study by David Ludwig's group, a spartan 10 percent carbohydrate, higher-protein diet led to a higher energy expenditure following weight loss than a moderate low-fat diet (2). Yet more moderate low-carbohydrate diets don't seem to yield a metabolic advantage (3). Again, an extreme diet composition seems to be the key, not carbohydrate restriction per se. It's interesting to note that diet advocates in both the very-low-carbohydrate and very-low-fat camps claim a metabolic advantage and superior fat loss. If my hypothesis is correct, they're both right! Hall's group actually alludes to this hypothesis in their paper. According to their metabolic model, if the low-carbohydrate diet had been even lower in carbohydrate (with a corresponding increase in fat intake to maintain calories), it would have matched the very-low-fat diet in the fat loss department. Their data suggest that both macronutrient extremes are a bit more effective for fat loss than being in the middle, even when calories are held constant. Another explanation for the possible metabolic advantage of typical low-carbohydrate diets is the higher protein intake, which can lead to both short-term and long-term increases in energy expenditure, particularly during and after weight loss. That wasn't a factor in Hall's study, but it could have been a factor in others. We can definitively reject the claim that carbohydrate restriction is required for body fat loss. It is an investigation of the mechanisms of short-term weight loss, specifically the mechanistic importance of calories vs. diet composition. It is a well-designed test of the carbohydrate-insulin hypothesis of obesity. It isn't a test of which diet works best under real-world conditions, or how different diets affect hunger, food motivation, or food intake. We already have many other studies that test the real-world effectiveness of low-fat and low-carbohydrate diets. These studies show that neither diet is very effective as a stand-alone fat loss measure, but moderate low-carbohydrate diets tend to be more effective than moderate low-fat diets, perhaps due to their greater ability to control appetite. We still need more data on the real-world effectiveness of very-low-fat diets, which may be more effective than the moderate low-fat diets typically used as control groups in low-carbohydrate diet studies. This is a very sophisticated study that takes us several steps toward understanding the metabolic and energy balance effects of different diet compositions. The results are surprising and provocative. The results suggest that over a 6-day period, specifically dropping fat from the diet leads to greater body fat loss than specifically dropping carbohydrate from the diet, when calories are held constant. Yet, the difference in fat loss may depend on the fact that the composition of the low-fat diet was much more extreme than that of the low-carbohydrate diet. If both diets were equally extreme, Hall's model predicts that fat loss would have been similar. This hypothesis needs to be taken ex silico to be confirmed, hopefully in a longer-duration diet trial. Since dropping carbohydrates from the diet lowered insulin but slowed fat loss when compared to dropping dietary fat, this study falsifies one of the most popular incarnations of the carbohydrate-insulin hypothesis of obesity. I hope regular readers of my blog aren't too shocked. * Which I will modestly take some credit for. ** Their method also takes de novo lipogenesis into account. Let's stipulate that diesel engines require no warm-up period for optimal fuel-burning efficiency whereas gasoline engines need 5 minutes. If we start up both engines for 10 minutes and compare, then obviously the results would be flawed. Better to compare the engines after the 5 minute mark, at least. Low carb researchers repeatedly emphasize that there is a metabolic adjustment period before the full effects of the diet kick in of about two weeks or so. Yet, this study, from the summary presented at least, appears to ignore this admonition. One thing that jumps out is from a sample of 19 obese men and women, they seem to have zeroed in on people who are extremely healthy metabolically. These people weighed over 100kg on average, both men and women. Yet at baseline their TC was only 179 and their TG was 101. I don't know many obese people around 100kg who sport those numbers. The same with fasting CP (1.4) and fasting insulin (12.6). Again, these are extremely healthy but obese people who were primed for fat loss. But since they were already healthy, the fat loss may or may not have benefited their biomarkers significantly. Actually, if you see, their TC/HDL ratio worsens from 4.0 to about 4.2, mainly because HDL falls more than TC for both RC and RF diets. The results themselves with regard to biomarkers are not surprising and actually confirm prior LC studies (even though this was moderate RC). The lower TG, leptin, FI and higher CRP, cortisol. The only surprise is the ghrelin, which I would have expected to decrease more with RC than RF. But then I've also seen extreme RF drop FBG impressively. So given that these were obese but extremely healthy people, should they have even gone through with a dietary regimen. Most people who do RC or RF diets with similar BMI are usually prediabetics with significantly worse lipid and inflammatory markers. In such a case, RC might seem to yield better results simply because the reduction in TG/FI would be magnified and the drop in TC might even rival the drop from RF for such people. Keep in mind that glycogen stores serve as a buffer for fat loss or gain. The LC group lost water weight due to glycogen depletion, as you note. Since glycogen and fat are substitutes (the body burns can burn either for energy), that means they weren't burning fat to get those calories. Essentially, they were burning carbohydrates for energy and replacing them with dietary fat. It seems very likely to me that switching from a high-carbohydrate diet to an isocaloric low-carbohydrate diet will cause about half a pound to a pound of fat gain due to this phenomenon. For this reason, short-term studies like this should look at total energy balance, not just fat balance. By the way, I'm surprised to see you, as the food reward guy, cite metabolic advantage as the reason both LC and LF diets work. What about lower food reward? Most highly rewarding foods (e.g. chips, chocolate, ice cream, pizza, cake) contain a mix of fat and carbohydrates. Strictly limiting either macronutrient necessarily cuts out the vast majority of high-reward foods. The difference in energy expenditure was not significantly different between LC and LF groups (p = 0.099), so the reduction may have been entirely due to the large caloric deficit and unrelated to macronutrient composition. Thank you Stephan, amazing read! Would you still agree that the low-carb insulin secretion reduction is protective against, amongst others, diabetes? I feel like that even if this particular carbohydrate-insulin hypothesis of obesity is incorrect; a low-carb diet still has other health advantages. Interesting study. Please hurry up with your book! 6 days is not long enough to become keto adjusted and the results therefore have little bearing on the proven real long term benefits of low carb. Initial weight loss on the low carb would be water associated with the glycogen stores being depleted thus accounting for a lower percentage fat loss in the short term. Besides, low carbing is about far more than weight loss, its about insulin reduction, inflammatory reduction, mental clarity and a whole host of other benefits connected with eliminating processed foods and grains from the diet. Low fat promotes hunger and binge eating and is unsustainable long term. Nice summary as always, Stephan. I noticed that ghrelin levels were significantly increased on the low-carb compared to the low-fat diet. High ghrelin has been shown to correlate with lower energy expenditure, but I'm not sure if that relates to sleeping metabolic rate, which Hall et al. measured. Do you know? If you look at the paper's model for long-term change in fat mass, it indicates (in figure 3G) that the Reduced Carbohydrate diet would result in a greater reduction than the Reduced Fat. Am I confused, is this a mistake, or is the text a mistake? I don't really care too much about Low Carb vs Low fat, but I would be sceptical of claims based on 6 days of trial. Low carbohydrate will cause more muscle loss because of the use of muscle for creating glucose. But why would this carry over 6 months when the body becomes more efficient, provided there is sufficient protein in the low carb diet. Sorry but it wasn't a well designed study in that way that testtime was very short. Yes they had a adaption phase for some weeks but that diet made the testcandidates mainly carbdriven as they probably had bern all life before test period. You cannot compare their body methabolism to a body adopted to be fat driven. You and the test compare apples with bananas even though the test was pretty impressive. There are several other studies at pubmed and worldwide claiming a fat adopted body burn more calories per day than a carb driven. Who has the ultimate answer? What the headlines missed was that the effects the researchers found were in metabolic wards. Very few of us live in metabolic wards. And as you noted, we need studies in real-life conditions. The biochemistry from metabolic ward studies is interesting. But appetite is important in the real world, and as you noted, LC diets tend to reduce appetite. I think we all agree that insulin is a fat-storage hormone. So if you're eating more calories than you need, the insulin will promote fat storage. But if you cut calories, then insulin has nothing to store; most of the ingested carbs and fat will be oxidized for energy. This studies also endorses the idea that it's essential to eat enough protein on a LC diet so you don't break down your muscles. I think the average dieter needs some simplistic theory about why the diet will work, and if believing in that diet helps the dieter stick to the diet, then it's OK, even if not true. Sticking to the diet is the most difficult. Maintaining weight loss is also a challenge. 6 days??? No one even starts to feel better on a ketogenic diet untill they've adapted metabolically by about week 3! At the age of 22, when I was still pretty insulin sensitive, I went on a low fat diet, as recommended by my doctor, to treat the non disease of familial hypercholesterolaemia. To my delight I quicly lost 5 lbs, only to put on 20 lbs more over the next year. I was never overweight in my life before that. Oh, and mt triglycerides were through the roof for the first time. Contrast that with my attempt to loose weight after my second pregnancy at age 36. After the 3rd week of a ketogenic diet, I felt fantastic and I'm back to the same weight I was at before the disastrous low fat diet, and have maintained that weight (105 lbs on a 5'1" frame) for the past 15 years. So again I say... 6 days??? Ps... And my current triglyceride level? The lowest my doctor has seen. Interesting study, and one which seems in line with what you and others have been saying. It didn't look at three issues which are cornerstones of the experiences of a lot of us. 1 If you are diabetic, even more significant pre-diabetic, or becoming so our metabolism is damaged and we do not do well or achieve satiety with the standard American diet and its high carbs. 2 For us even with a complicated injection regime of long lasting, rapid, and extra rapid insulins, many of us do best with carbohydrates at less than 10% of calories. 3 If you are losing weight some intense exercises, particularly heavier but safe weight lifting and High Intensity Interval Training (HIIT) really helps preserving lean body mass. In my case A1Cs just a little over 5.1 seem to initiate retinopathy episodes, so very low carb, many small injections of insulin over the day, and regular exercise including sprints seem to keep things in order. It is very difficult to eat away from home, and follow my regime. I don't like cruises, but oddly their fabulous buffet sections make it easy to eat right. what if this starts new low fat diet trends up again ! You mention the the obsessive study design and control measures must be expensive. Out of curiosity: How much does this study costs approximately ? Great write-up. Let's see what Taubes has to say about this study. This study was designed to investigate a mechanism, namely that insulin levels are the dominant controller of fat mass. It was sufficiently long to reject that hypothesis. The carb-insulin hypothesis doesn't say anything about insulin not being relevant to adiposity for the first 6 days, then kicking in after that. At least, not any version of it I've encountered. This study was not about which diet leads to better results under real-world conditions. There are many other studies that have addressed that question. They did measure total energy balance. Energy intake was the same between diet periods, while total energy expenditure was 98 kcal reduced on the LC diet and 50 kcal reduced on the LF diet. So the LF diet had a small 48 kcal "metabolic advantage" in terms of total energy balance. That reduction was significant in the LC group but not in the LF group, although, as you note, the p-value for the between-group comparison was >0.05, so strictly speaking we can't say there was a significant difference between the two. Regarding food reward, it clearly has a large impact on energy intake, but its impact on metabolism and energy expenditure under calorie-controlled conditions have not been explored very much. So I would be wildly speculating if I attributed the current findings to that. I don't think insulin secretion itself is harmful, but insulin resistance is harmful. Insulin resistance is associated with elevated insulin levels, but if you reduce the insulin level of an insulin-resistant person it's not going to help the situation, it's just going to make them diabetic. The key is maintaining metabolic control, which requires having good insulin sensitivity and secreting the appropriate amount of insulin for your level of insulin sensitivity and your carbohydrate intake. That situation can occur at either a high of a low carbohydrate intake, and there are many examples of cultures and individuals remaining healthy in both scenarios. Yet for some people, one or the other may be easier. Glad you enjoyed it. Sorry, but I don't know the answer to your question. Good eye, but that is an error. The colors should be reversed. Reijo Laatikainen caught it and asked Kevin Hall, who confirmed that it is an error. I'm sure they'll correct it soon. You said "I think the average dieter needs some simplistic theory about why the diet will work, and if believing in that diet helps the dieter stick to the diet, then it's OK, even if not true". You make a good point. I do think that part of a diet's effectiveness comes from it having a clear, compelling rationale that helps people stick to it. It just chafes me when that rationale is wrong, especially when it's being plastered all over the New York Times, etc. as a scientific breakthrough. I can certainly appreciate the rationale for low-carb diets in diabetes. Although I will note that several older studies reported impressive reductions in insulin requirements and improvements in glucose control with a McDougall-style diet. That doesn't make LC less effective, but I do think it complicates the picture of how diet relates to diabetes management. I don't know how much it cost, but I would guess a few million, when salaries are taken into account. 2) Any study shorter than 4 weeks can be ignored because the body is not fat adapted so fat burning is not optimized. Wasted a million I am afraid. "A new human trial by Kevin Hall's research team at the US National Institutes of Health offers very strong evidence that the carbohydrate-insulin hypothesis of obesity is incorrect." I think it would be more accurate to say it's incomplete, and that this study demonstrates that there are other hormones at work in the body. I think the confounder here is the calorie restriction, which had the expected effect of reducing metabolic rate in the reduced-carb group, but not the reduced-fat group. That lower MR in the low-fat group is the exact reverse of what Ludwig found a few years ago, in a longer-term study with similar macro ratios, in which he also measured t3 levels. Perhaps that's the result of the much lower protein and fat levels in this study. The higher MR in the low-fat group may be a result of increased thyroid hormone—along with insulin a result of increased blood glucose—in the RF group, which also increases metabolic rate. If that's correct, then this is not a refutation but more of an edge case, as you note, a hack if you will of the glucose metabolism hormone system. I'm not sure I communicated my point about total energy balance as clearly as I had hoped. My point is that the difference in total energy balance between the groups was a) only significant at p = 0.099, and b) much smaller than than the difference in fat loss (~300 kcal difference in energy loss vs ~2000 kcal in fat loss). So if the LF and LC groups were consuming the same amount of energy, and the LF group only burned 300 more calories, why did the LF group burn 2000 more calories worth of fat? Where did the extra 1700 calories of fat loss come from? The answer, I'm fairly certain, is that the LC group burned (or failed to store) 1700 more calories worth of glycogen than the LF group did. Which is to say, there's no mystery here. If we look at total energy balance (fat plus carbohydrates), the total difference was (presumably), only 300 (non-significant) calories. The main difference is that the LF group lost an extra 1700 calories from fat stores, and the LC group lost an extra 1700 calories from glycogen stores. The lower fat loss by the LC group can be explained almost entirely by the fact that burning 1700 glycogen calories allowed them to meet their energy needs while burning 1700 fewer fat calories. This has no long-term implications because once glycogen stores are exhausted they can no longer substitute for fat calories. I suspect that if the experiment were continued under tightly controlled conditions, the gap in fat loss would remain steady at ~200g no matter how long it went on. Oh, and yes, I understand that food reward doesn't really matter when intake is externally controlled. I was referring more to your comments on LC and LF diets in general. When I tried a high-carb, low-fat diet, I couldn't eat enough to maintain my weight, similar to the results on the all-potato eating regimen. Then I noticed I was hearing rats in the sewer line from the bathroom. So, was there a lot of undigested starch because the gut adjusts the level of starch digestion to match the muscles' glycogen requirement? This would definitely lead to more "fat burning" but it doesn't shoot down the connection between hyperinsulinemia and obesity. "The carb-insulin hypothesis doesn't say anything about insulin not being relevant to adiposity for the first 6 days, then kicking in after that. At least, not any version of it I've encountered." I'm sure that Gary Taubes, Peter Attia, Robert Lustig, etc, could never have imagined that anyone would ever interpret, let alone "test," their ideas on a timescale of just a few days following major dietary change. What happens in this micro time frame simply doesn't matter, in either the real world or mechanistically in the "alternative hypothesis." Biological change does not happen at the speed of light. Nothing resembling a physiological steady state could have occurred in this ridiculously short time frame. All kind of dynamic adaptations must've been in flux. I doubt anyone can reliably interpret the findings under such unstable conditions (though of course it's easy to guess). What a huge, evidenceless leap it is to simply assume that the physiological environment over just a few days following dietary upset somehow reflects the biological mechanisms of a stable, adapted physiology. Honestly, to me a study such as this never should have been funded or published, or even conceived. The alternative hypothesis may or may not be true. But it looks like NuSI was correct to take matters into its own hands in funding studies that can really start to find out. I'm certain theirs will last a lot longer than six days. I note from the supplementary tables that in the female subjects the fat loss was not statistically significant - neither diet demonstrated fat loss by DEXA analysis. The period of time is an issue as there is a substantial contribution of carbohydrate reserves to the fuel supply - taking 800 cals of carbohydrate from the diet and only seeing a 500 cal reduction in CHO oxidation is a strong clue to this. When I see +400 cal/day of fat oxidation in the restricted carb option I know that's the one for me as I'm very unlikely to go to Hall's hair-shirt levels of fat intake. Given a 2-week run-in on the restricted carb diet we would have learned a lot more. If the 300 cal/day subsidy from glycogen reserves was off the table I suspect the fat oxidation would have increased further. Do you have any references to studies, case studies etc. of Hall's long term diet model? The experiment used a high carb low sugar diet. Taubes says that Asians on that kind of traditional diet tended to be thin and healthy. I think there needs to be some caution in over interpreting and extrapulating this study's results, especially to the real world. This is a very short, very controlled and very artificial experiment. Media claims that this study proves one type of diet is better or worse for weight loss for everyone is unfortunate. The main finding of this study is that lowing insulin levels is not essential to reducing body fat, and at least in the short term may not be the most effective. The longer term effectiveness of either arm of this study is not known and is unknowable because no one is going to eat the exact same three meals everyday for the rest of their lives and never cheat. Stephen is right that this study directly challenges the simple theory that body fat mass is exclusively controlled by insulin levels in response to carbohydrate load. Carbohydrate load, insulin levels and developing insulin resistance is a different question that this study didn't directly investigate. What I think is interesting in this study and isn't being discussed is WHY the different adaptive responses to reduced calories from fat or carbohydrates in the study. Here is evidence that all calories are not equal to the body. In an ancestoral environment, conservation of caloric output and fat mass would be a good thing under calorie restriction. Shedding extra water weight might also be adaptive in conserving energy output. A significant reduction in total calories and total carbohydrates over a sustain period of time would likely be a strong environmental signal about the availability of food resources. Think of the difference between the wet season versus the dry season. If carbohydrates were relatively plentiful in the diet from fruit and honey, then the adaptive strategy is not to conserve energy or fat mass but expend energy foraging and hunting. More carbohydrates in the environment would correlated with more animals in the environment, therefore a food rich environment. So under calorie restriction, our metabolism is more sensitive to loss of carbohydrates based on the adaptive strategy I have suggested above. Under unresticted access to calories, we may see very different effects. One thing that would be interesting to see in a future variation of this experiment would be to not hold the protein intake the same will restricting calories. In a real world whole food diet, the amount of protein would vary significantly and perhaps change the metabolic effects through mTOR and IGF modulation. I commented on twitter that I was surprised at the credence you are affording this study. I have not the time to waste going through all the details, but will reproduce the comment I jotted down on my facebook page - perhaps you could deliver a high-level response to same - thanks. "A little knowledge is a dangerous thing - so much is artfully wrong with this study.....it's unlikely to have happened by chance stupidity. This methodology is becoming common - comparing a ridiculously short-term isocalorific pseudo-low-carb (29%), to an ultra impossible low-fat (8%). It is becoming known that short-term ultra-low-fat (whilst ridiculous in real life), can generate the apparent effects that the experimenters are specifically mining for. Keeping the 'low-carb' not really low carb at all, enhances the errors, and tuning the timebase to be very short ensures no metabolic adjustment to allow benefit to accrue. The whole deceitful mess is massively magnified by eliminating the crucial hunger-driving factor from the equation. Yes, I suspect these guys know exactly what they are doing here; while it may not be direct remuneration, a question of motive is still pertinant. What is driving their deceit?" "We can definitively reject the claim that carbohydrate restriction is required for body fat loss." My own anecdotal experience corroborates that statement. Having been a VLC true believer in the past (lost 20 lbs, then slowly regained 10), I ate LOTS of carbs (white rice, potatoes, fruit, ice cream) on an overseas deployment and lost 17 lbs. Granted, there were a lot of variables out there compared to the home front (2+ miles of daily walking, zero alcohol, a few daily cigarettes, almost no food from the USDA/FDA-dominated industry of sterility/gut dysfunction)...but one conclusion is crystal clear: the increased carbs neither forced me to gain body fat nor prevented body fat loss. @Thorgal, re "if we could spread the word in all these low carb paleo nonsense forums"
Those VLC folks are indoctrinated into their beliefs just like the McDougallite vegans or any religious congregation. You might snag a few, but you're likely to encounter lots of dismissive hostility in the process. @Gretchen, re "we need studies in real-life conditions"
Sure we do. But we also need metabolic ward data to complement the full picture. Both approaches have big, unique limitations, and that is why you need to perform both and read each result appropriately. It's not an either-or situation. let's compare *and* utilizing a real LOW CARB diet. 1. First, one needs to be cautious about attributing much weight to the quality of the journal in which an article is published (the fallacy of argument by authority). Especially when dealing with contentious issues, all kinds of flawed studies can get published in high level journals. Bias, both conscious and unconscious, is very much a part of the scientific enterprise, even at the highest levels. 2. Why didn't they compare extreme carb reduction with extreme fat reduction or moderate carb reduction with moderate fat reduction? As is, the study seems confounded. It compares moderate carb reduction with extreme fat reduction. You indicate that there were methodological reasons for this, but what were they? And even if there were valid reasons for it, the paper should not have been presented as a comparison of low carb with low fat, which implies an equivalent reduction in both. It practically invites the public to overinterpret the the relevance of these results for the debate over the effectiveness of low carb versus low fat dieting. 3. You reject the criticism that the study was flawed by not including a "metabolic adjustment period." But my understanding is that a shift in diet typically requires a period of adaptation, both short-term, within a meal, and long-term across meals. Pavlov and his students discovered this over a hundred years ago when investigating the effect of different foods on pancreatic secretions (which, even at the time, was proving to be a surprisingly complex process). I also did a quick search of pubmed and it seems that an adaptation period is a basic control condition in many studies of digestive processes. In fact, adaptation is such a basic process that it would be surprising if it didn't occur when there is a shift in diet. Thus, what one finds after 6 days may be very different from what one would find after two weeks or a month on either or both of these diets. 4. If I understand it correctly, the LC crowd claims that people vary widely in how "carb sensitive" they are, and that a person often has a certain threshold below which weight loss becomes much more reliable and rapid. If so, many of the participants in the moderately carb restricted group may not have reached this threshold. 5. You mentioned that they measured body fat in a couple of ways, including "DXA, a gold-standard method." Then you later state that the "DXA analysis showed that both groups lost fat, but the changes were too small and the variability too large to detect a significant difference between groups." If that's accurate, then, by the gold-standard method, there was no difference in fat loss between groups. How then can you say this study "provides very strong evidence" of anything? 6. 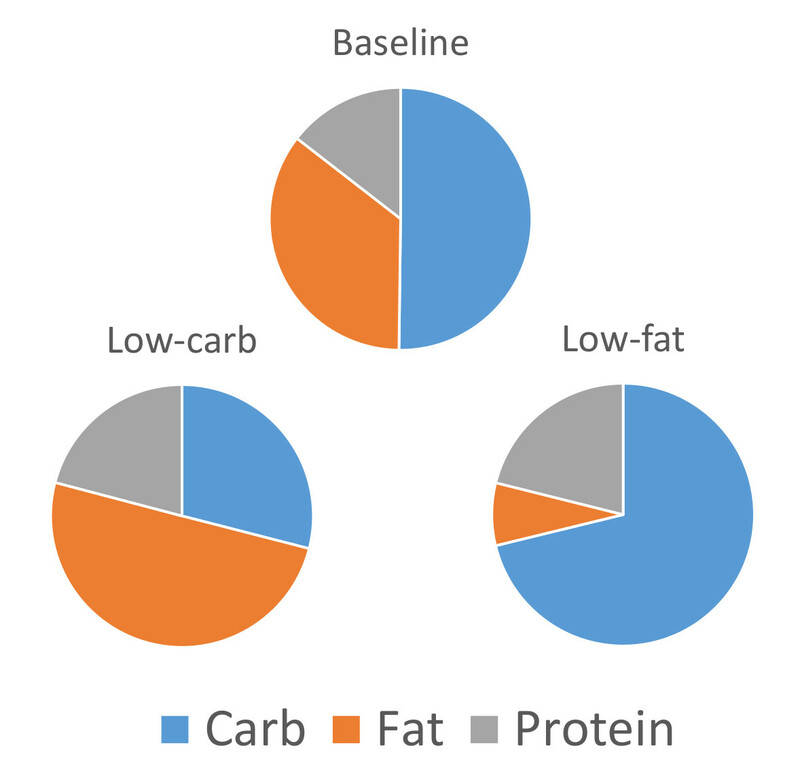 The study does seem to show that a simplistic carb-insulin theory is insufficient to account for all fat loss, but that's shown by fat loss in the low fat group alone. There was no need for a carb reduced comparison group to show that. And don't most LC proponents admit that calorie restriction alone can also produce weight loss? It wasnt a true crossover study. It had one major fault. Half the test candidates should have been in true fatburning mode before startup. Everybody was in a "preferred carb mode". The transition diet did not change that. Sorry to see you didn't understand the purpose of the study. What you're saying makes sense. I'm looking into this right now, and I may post about it this week. Hall's model does predict that the rate of fat loss between each diet should become more similar after an initial period. That could relate to glycogen depletion reaching a plateau, but I'm not sure to what degree his model "knows" that glycogen is responsible, rather than simply being based on empirically observed weight changes in RCTs under different conditions. There is available evidence on how long it takes the body to adapt to fat burning. I may review it on the blog. The cliff's notes is that it doesn't take nearly as long as people claim. People may continue to feel weird for a while, but their bodies reach a fat burning plateau relatively quickly. Keep in mind that Gary Taubes's version of the carb-insulin hypothesis is unable to explain this result. His hypothesis says insulin goes down, body fat goes down. That's it. It is unable to account for the complexities of metabolism and energy balance at any time scale, short or long. This study does indeed falsify it, and further studies will do the same. The low-fat diet was not even close to low-sugar (170 g/d of sugar!). And furthermore, it contained four times more sugar than the low-carb diet. It is very common in the LC community to assign nefarious motivations to people who challenge core low-carb beliefs. Frankly this comes across as bizarre and cultish to outsiders. Why not be more skeptical of the people whose entire careers and livelihood depend on preaching to the low-carbohydrate choir? Thank you for getting it. The only thing I disagree with in that statement is saying that the low-carb diet was low in fat. It supplied 972 kcal/d of fat, which was 50% of energy intake under those reduced-energy conditions. Otherwise, his statement is right on target. He also seems to understand that the point of the study was to investigate mechanism, and it was an adequate design for that. Great question. Thank you for asking the question rather than jumping to the conclusion that they weren't fat adapted, which is not at all clear based on previous research. I'm reviewing that research right now, and I think we'll get to the bottom of things. I'll probably post about it again this week. That was the only way to design the study in such a way that would test the hypothesis. It had to subtract an equal number of calories from fat or carbohydrate. Since the typical baseline diet contains more carb than fat, this leads to a lopsided macro composition after subtracting a fixed number of calories from each. Most of your objections are incorrect. Regarding being in "fat burning mode", I'm currently reviewing that literature, and we'll see whether there is any truth to those claims. Read Steve Phinney, Peter Attia http://eatingacademy.com etc. There are also some really nice blogposts about how triathletes/marathon ppl increase fatburning by eating lowcarb. It works also in ordinary people not doing extreme sports. We burn both fat and carbs but the ratio of carbs increase the higher intensity we exercise. At low and middle intensity fat burning is dominant. The crosspoint where fatburning curv decreases and carb burning curve increases can be pushed in the favour of fatburning. That is if we "train" fatburning process as we can with low carb diet. You and the study compare an extreme low fat diet (as you comment yourself) to a so called low carb diet that not any lowcarbet can call low carb diet. Not even the Swedish health ministery. 150 gr carbs per person in this study is not low carb. To set up a proper study you need researchers from both low fat and low carb world. I wish there would come one in the future. Of course you can increase fat burning by eating a low-carbohydrate, high-fat diet, but that doesn't have any implications for the size of your body fat stores, which is determined by the amount of fat you're eating minus the amount you're burning. In other words, if you ramp up your fat burning but also your fat eating, it gets you nowhere unless your total calorie intake is lower. Hall's study showed that there's nothing magical about reducing insulin levels that makes fat fly out of your fat cells and get burned. This is a great study. I just have a question about the daily fat balance metric used. Did the authors actually account for energy excreted in the urine and feces? In the text, they say that they used "metabolizable fat, carbohydrate, and protein intake rates." Metabolizable energy usually refers to energy intake minus energy excreted, but I couldn't tell if the authors explicitly measured it, estimated it somehow, or assumed it was negligible. My point was that the test wasn´t properly setup. Can you really draw any conclusions from a test where the candidates during low carb phase isn´t properly adjusted to low carb food at all? With 150 gr carbs it isn´t even low carb food. They are still in transition phase after six days of testing. They compare a very low fat period with a 150 gr carbs per day period. They compare a extreme low fat period to a rather GI period than low carb period. You on the other hand extrapolates this result after six days testing to a long term observation (read above) not considering transition state that might change the scenario a great deal. Your own conclusions (read above) is about 75% about dropping weight. Not insuline. If you want clarity on this matter, please re-read the study and re-read my post and give it some more thought. What was the purpose of the study? What was the hypothesis to be tested? Why did the authors design the study in the way that they did (hint: it was not because of a low-fat conspiracy)? Did I distinguish between short-term and long-term fat loss in my post? Keep those questions in mind as you read. I can't recall Gary ever saying or writing that insulin would tightly correlate with body fat over the first few days following a sudden diet change. If you know of such a statement I'd be interested in seeing a reference. If there is no such reference then much of this discussion, and Hall's, is directed at a straw man. I'm pretty sure that if asked this question Gary would answer that he really didn't know, and that it doesn't matter. People don't get fat or thin over a few days, but over years and decades. The mechanisms of that are what need investigation. The short term mechanisms after sudden dietary upset could very well be more complex, but even if they are it says nothing about the alternative hypothesis for why people gain weight over a lifetime. P.S. Apparently Hall conducted one of NuSI's initial studies. Will be very interesting to see the results when they're published. Certainly can't accuse NuSI of cherry picking researchers who already agree them. Energy is a very important thing in our lives- far more important than politics etc. However, energy is a very, very, very tricky, subtle and difficult concept to get right, as Feynman noted. The concept of energy is abused by cranks every day. It is key to understand that the caloric hypothesis, the caloric model of obesity is NOT the same thing as conservation of energy principle. One has support, the other does not. This conservation of energy principle is often abused by Internet people, as many of the physicists I talked to note. They are disheartened by it, especially when medical doctors do it. ALL the conservation of energy says is that : There is a number, a quantity that does not change when nature undergoes its manifold changes. That is allll it says. The end. Whether or not somebody achieves a sustained negative energy balance is not at all predicted by the caloric hypothesis. That is a biochemistry /physiology type question. Obesity is NOT a physics problem as numerous physicists told me.Further, mere negative balances do not address what type of matter is lost specifically. One can retain big huge fatty obliques and lose muscle mass all over the shoulders? Success? No way...... Why do some gain mostly muscle when lifting and overeating a bit and others almost all fat? Biochemistry/genetics/physiology. Conservation of energy relevant? Yes. Sufficient? Not even close. Energy is nothing material. It is NOT a material entity,it is not a thing, as Feynman STRESSED. it is NUMBER, nothing more. It is a quantity , a number. The BEST working definition of "energy" we have is " The QUANTITY or number that is conserved in a time transnational invariant system. However, just because this model fails so often does not mean that the insulin hypothesis is correct. It not an either or choice. Many other things are out there as choices. We need imagination. We need to look at this problem like a Martian. A new point of view. In fact, the insulin hypothesis incomplete at very best and likely not the answer. Obesity goes farrr deeper. My own idea is that of mitochondrial dysfunction of some sort. But that is just an idea- a guess. The problem with he caloric hypothesis is that it has no predictive power. No predictive power makes a theory useless- a good way to getting it killed. Numerous studies show its lack of predictive power. Namely, human overfeeding experiments, mouse and human gut bug research etc. Obesity is incredibly complex and not even 1/10th solved. The caloric model and the insulin model are both wrong. Simple overeating does not cause obesity. There are many, many thin people overeating and not even exercising all that much- just living their lives.I know many in real life. Energy is necessary for the development of obesity on a desert island YET NOWHERE NEAR sufficient.HUGE DIFFERENCE. In a free environment, with unlimited access to food, not everybody becomes obese. Massively important question. Every single day I see thin to normal weight people winning gluttony sandwich shop challenges- with their pictures abandoned on the wall of fame. I very rarely ever see obese winners. Hopefully, we can all move on past both the failed caloric model, as well as the incomplete to likely wrong insulin hypothesis as well , pushing towards a deeper molecular level understanding. More work into genetics, too. We need a NEW method for a new discovery. If all the previous methods worked we would have ALREADY gone on through there as Feynman noted. This is true in both physicist and biology.History will not rep[eat itself. each great scientist had their won method for finding the answer- from Newton to Maxwell, to Einstein to Dirac. Will you please consider re formatting your blog so that links are easier to see ? At the risk of appearing dim witted, I'll ask for clarification. You wrote - "As expected, the low-carbohydrate diet led to a 22 percent reduction in overall insulin secretion, as measured by urine C-peptide. In contrast, the low-fat diet had no impact on insulin levels." So I went back to look at the results table. I found THE 22% NUMBER CAN ONLY BE CORRECT IF YOU USE BLOOD INSULIN, NOT C-PEPTIDE TO CALCULATE - 2.76 divided by 12.6 ........here's the table .....http://caloriesproper.com/a-brief-explanation-of-hall-et-al-ie-the-low-carb-war/fasted-blood-metabolites-and-hormones/ ... ALSO, THE TABLE SHOWS A GREATER REDUCTION IN C-PEPTIDE (SURROGATE FOR INSULIN) ON THE RF DIET (-0.179) VS RC (-0.133). I hope you have the time to clarify, but certainly understand if you do not. Your post is, as always, insightful and thought provoking. "As a result, only the RC diet resulted in a 22.3% ± 7.0% decrease in daily insulin secretion (p = 0.001) as measured by 24-hr urinary excretion of C-peptide and depicted in Figure 2B. Therefore, the experimental reduced-energy diets resulted in substantial differences in insulin secretion despite being isocaloric." Yes, thanks for that. I did see that table 4 was a single fasting "plasma hormone and metabolite" sample, and was wondering why you were referring to a 24 hour urine result in your post! It was just coincidence that the math on table 4, for insulin, at a single point in time, also yielded 22%. I appreciate your response. The more I have read about this particular study, the more it appears that it was designed with a desired result in mind. Sadly it reflects the way a large portion of nutritional and medical studies are done and a complete waste of funding. Thank you for blogging about this study, Stephan! I pass your work along to anyone I can. 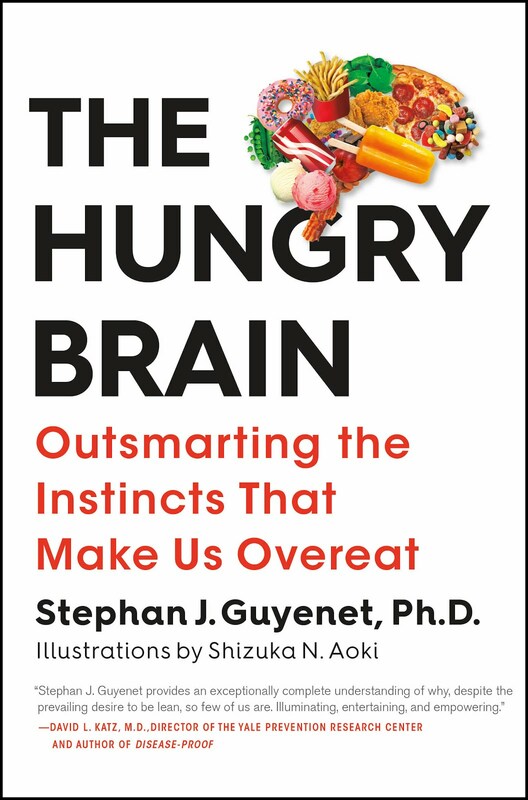 Question for Stephan, or anyone who may know the answer: Is it possible to learn what foods they actually fed the people in the study, rather than see macronutrient percentages? Is that info published in the actual paper? That's a good question. Sadly, the paper just went behind a paywall so I wasn't able to see. However, often they include that information in supplemental methods. Stephan, can you explain your comment here paraphrased that reducing insulin in an insulin resistant diabetics will just make them diabetic? I realize my question is more general than tied to this post, but........ At this point in your research, what sort of diet would you recommend for someone who is type-two diabetic and very overweight (120 pounds). Is there another type of diet that reduces appetite? I am open to artificial crutches (e.g. drugs) but that isn't really an option as far as my doctor is concerned. I remember an old post of yours that featured a study of a bland liquid as the only source of calories. I would try duplicating that, but don't know if it would be dangerously low in electrolytes, or other essentials. Thanks for any hints, Stephan. I was curious about that too. I was thinking that maybe he was saying that since a person with insulin resistance have a hard time getting sugar into the cells, if you lower Insulin it will result in more sugar remaining in the blood stream. The end result would be ddiabetes. That's my guess as to what he meant. First of all, the "low carb" diet was actually a "moderate" carb diet...according to the metabolic diet by dott.Di Pasquale, the carb intake should be much lower to turn the body into the "burning fat" mode, the first phase should be "very low carb", and it takes more than the days of the study...even with such alleged moderate amount of insulin, it's hard to turn the engine from a carb user into a fat user...and this is well known and well proven among the fitness world. Second, I'd love to see what kind of fat has been used for the study...if you use dairy product for example...and this lead to the main issue...it's more about food than protein vs carbs vs fat...we've seen pooulations that can thrive on high carbs (Kitavans) and others on high fat (Inuit). But all the populations who rely on grains as a staple are fat and sick. As dott.Lalonde pointed our a while back, I would love to see studies where they use the paleo foods. And then we could see how paleo carbs, paleo fat and protein work. "Low-fat diets are unlikely to result in greater weight loss than higher-fat diets that have the same amount of calories, a new study finds." "Dr. Kevin Hall of the National Institutes of Health, National Institute of Diabetes and Digestive and Kidney Diseases in Bethesda, Maryland, who was not involved in the study, noted that the results should be seen more from the standpoint of how well people respond to being on a diet." "The science does not support low-fat diets as the optimal long-term weight loss strategy." In fact, low-carbohydrate diets led to greater weight loss than low-fat ones, according to study results published in The Lancet Diabetes & Endocrinology journal." I have not read the full study since it cost money but I presume they have taken care of the fact that you lose weight rapidly initially at low carb. If not they have done a very poor study. I'mn glad to see another nail driven into the journalist's theory. He always asks his opponents to disprove him on their dime. He's gotten what he deserved. I'm not denying the efficacy of HFLC for shock treatment for obesity, but it's a huge overreach to say that it will give you 100 years of healthy existence. Your well-written assessment of the traditional Inuits is not conclusive enough. 43 years isn't much to go on, even if it was typical of Europeans at the time. It's impossible to project it through all the modern improvements in medicine, sanitation, housing, etc. -Contemplative. Ferlinghetti and Keys most of all. -A high level of activity, both mental and physical. None of these were unmotivated, depressed or sedentary people. Sorry to use your thread as a muse to post notes and store links, but this might be helpful to others. Macronutrient extremes - below either 15% fat or carbs - are the basis of many effective weight loss therapies. The low carb ketosis route is effective, as is the non-ketosis ADA carb exchange method. The low fat route is also effective, as shown by Hall's work, but this is not a new approach. Denise Minger has recently prepared a historic summary. My real concern is whether either of these approaches is an effective long-term health-improving measure. It appears to me that the low fat approach is similar to the Okinawan (and other traditional Japanese) diet, though there are other factors which might outweigh the importance of the diet itself. Looking at individuals, I see a lot of long term low fat dieters who have had serious mental, cancer and liver problems. Diet alone probably does not account for everything, but these individuals have had considerably shorter lifetimes compared with the typical American. The authors stress the difficulty in using ketosis as an epilepsy treatment over a long period, for the typical social and economic reasons. What is disconcerting to me is the high ketosis mortality rate. Whether this is due to the ketosis diet or not, it appears that ketosis is not offering any special protection. At this point, I am becoming convinced that neither macronutrient extreme has a compelling advantage. Both are effective for treating obesity, but neither is necessary after the weight is lost. From what I can see in populations and individuals, both extremes are detrimental to health and longevity. Glad you found this blog, thhq. Looks like you have the right mindset of letting the info speak for itself rather than picking a team to root for, which is why I can't get enough of Denise Minger. Could you explain a little more about this comment of yours, "Macronutrients of lesser importance, and certainly not an obsession. I say this in view of Ancel and Julia's attitude towards alcohol/pasta/bread, the Okinawans with their high carb sweet potato/rice/pork diet, and Jack's smoothies. [I would have said Col. Sanders fried chicken too, but I could never find any evidence that he actually ate it. He made it because other people liked to eat it and he could sell it, and with that he put in hundreds of thousands of miles touring the country selling it, apparently with a sandwich in his hand for food.]" I don't understand how these people represent a disinterest in macronutrients. Please give a little more info, as I'm not super educated on the people in this list, other than the demonizing of Keys. Thanks Mike. If you read Denise's post you'll see a picture of two magic macronutrient extremes, with a vast middle she calls Swampland. The Swampland is where Julia and Ancel live - between 15% fat and 15% carbs. Within that range calories count. The metabolic advantages of ketosis or carbosis (if such a thing exists) end when you leave the extremes. Ancel recommends eating the widest range of FOODS, not macronutrients. Whether Julia specifically recommends that, her recipes indicate that she accomodates that belief. Ancel Keys would not be on my radar at all if not for acupuncturist Eades' ugly visual ad hominem comparison of him and Jack LaLanne. That single post provoked me into looking for Keys books, and I am midway through Eat Well and Stay Well. I agree with most of what I read, except for the inordinate focus on eliminating saturated fats. The book is very structured, offering sample meal plans for 28 days at 2 daily calorie levels. The recipe section, composed mostly by Margaret Keys I think, applies the low (er) fat concept with a lot of nuance. For instance, dinners almost always include dessert. There is a tendency to reduce sugar/fat/flour by making them bulky and less calorie dense. Less cakes/flans/puddings, more meringues/whips/souffles. And there's no Food Pyramid to stop you from substituting butter for the corn oil. As I read the Keys of 1959 I know that increasing obesity was not his intent. He didn't live to eat, and he wouldn't have made it to 100 if he had. It takes restraint if you're going to eat everything and Keys was a master of portion control. But when politicans get involved with science, and dumb it down into a Pyramid for the masses, all the necessary nuance is lost. The progressive-minded Keys and McGovern lacked an accurate vision of what their Food Pyramid was to become. It was crafted in the day of the Hippie, Woodstock and Bilbo Baggins. The base, with its corucopia of grain and ample greens, gives off a whiff of sanctimonius, nourishing Hobbit stews. But there were never very many Hippies who had that vision. The base of the Pyramid needs to be redrawn to reflect reality: fast food, beer, frozen pizzas, Cheetos, Pop Tarts and an occasional banana. That's the REAL base of the Food Pyramid. The cornucopia was taken to heart by the food processing companies, and they spit out the Heart Healthy concotions the government asked for. I've seen what goes into the grain silos in Argo IL. What comes out the other end is not exactly what Hobbits and Hippies had in mind. They used to slaughter beef in Chicago. Now they slaughter corn. Do we know if the low-carb group were fed dairy? Personally... dairy always screws me over when I'm very-low-carb/Keto. Secondly... and it's also been mentioned here. Was there a lead-in time allowance for adjusting to low-carb? How Much Does Sugar Contribute to Obesity?